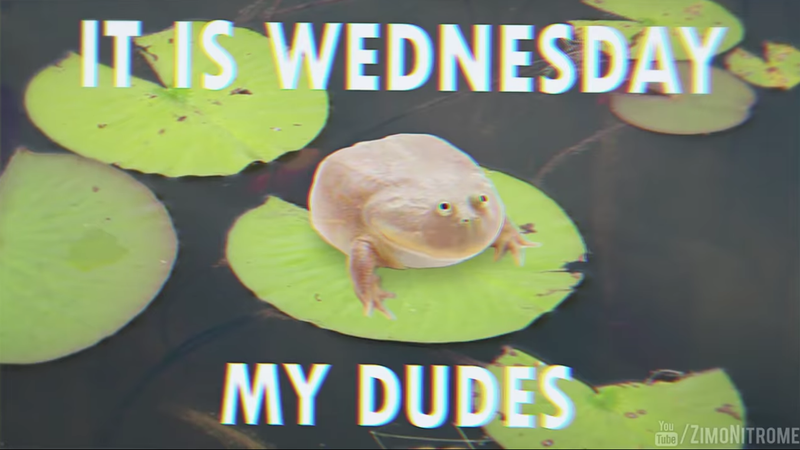 Every Wednesday, this YouTube series adds a new music video of a screaming frog saying “It is Wednesday, my dudes.” Wouldn’t one of these Wednesday songs make a better alarm for your Wednesday mornings than “Radar (Default)”? You can make this happen, my dudes. You should never use your favorite music as an alarm, because once a song becomes your alarm, it stresses you out any time you hear it. Personally, I like to use novelty music, like “It’s Not a Moon” by Bad Lip Reading, or vaporwave Seinfeld: music that won’t come up on shuffle or in a coffeeshop. The key to this music is that it’s fun, it’s catchy, but it’s already kind of annoying, and it’s often not even available on Spotify or iTunes. It usually doesn’t end up in your jogging playlist. This stuff makes great ringtones, and it makes great alarms. Friday: Do you really have to ask? Not all of these songs are available on iTunes or wherever you buy your music. And maybe you don’t actually own any music but stream it through Apple Music or Spotify or (hahaha) Tidal. That’s OK, you can still turn any song into an audio file with the apps below. If you want to use popular music as your alarm, most platforms make it easy. Android and iOS let you use any song in your music library as an alarm. So do the Google Home speaker and the Amazon Echo. If your song is buried in a YouTube video or a Soundcloud stream, then extract an mp3 of the audio with the website Peggo or the free app 4K YouTube to MP3. Those are our two favorite ways to get audio from YouTube. If your song is in some other stream or video, like Spotify or an AVI file, you can still record it by capturing audio from any app. Just use the audio editor Audacity (free for Windows/Mac/Linux), or a free trial of Piezo (Mac only), a simple app specifically for capturing audio from any app.